Office suites available with excellent services to meet your needs. Beautifully furnished suites come in a variety of different sizes. 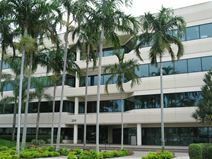 Easy access to major highways, close to Fort Lauderdale/Hollywood International airport. The regional transport links are also excellent, with an extensive range of both convenient and frequent services in operation across numerous road and rail networks, which make the center easily accessible. This is an impressive and eye-catching piece of architecture, home to serviced offices that are light, spacious and stylishly decorated. Situated in the heart of Hollywood, this is a prime location close to transport, eateries and banks. 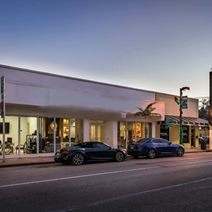 Conveniently placed between Miami and Lauderdale and less than five minutes from downtown Hollywood this stylish and contemporary building has a prime Florida location and is ideally placed for prospective tenants and corporate occupants to benefit from the wide range of local amenities and the area's excellent transport links. The modern furnished office space has fantastic security and technology systems and state-of-the-art decor.